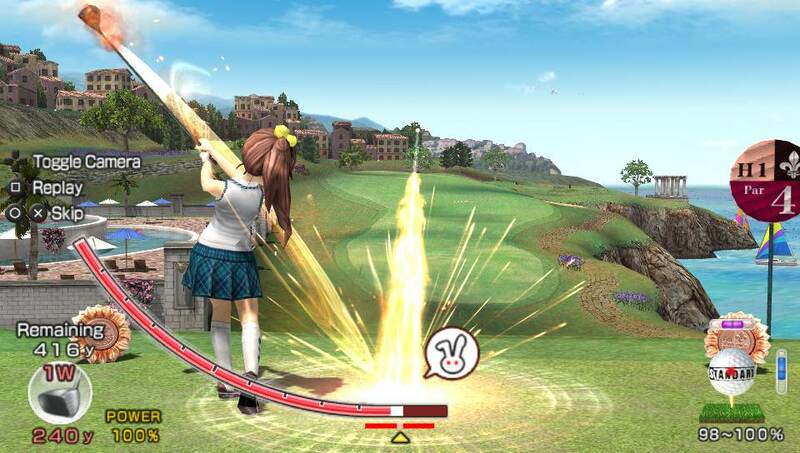 Everybody’s Golf needs no introduction. It’s one of the most successful Sony franchises ever, especially in Japan. There is just something about this series that makes you keep coming back for more. It could either be the cute character design, or simply put, the addictive gameplay that manages to grab players’ attention. It’s a golf game, so yeah, you need to know at least the basic mechanics of how the sport works. In case you don’t, and if you are pretty much new to the game, it will take you approx. 1-2 hours to get the hang of it. It’s not that complicated at all, if you’ve played the previous instalments; you will be pretty much at home with this one. Veteran players will know once they get their hands on this, that the game doesn’t really offer anything new. Of course, the Vita’s new control options are extensively showcased here by the developer, Clap Hanz. The addictiveness factor is the main reason why this game is sort of popular in spite of looking so simple. Or maybe it’s just the magic of playing Golf. There are extensive customization options available for you. 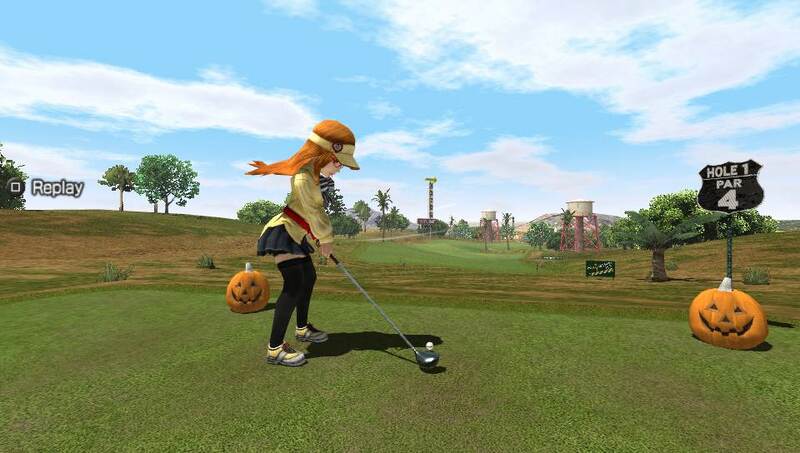 You can buy a variety of clothes, golf clubs and other accessories for your choicest character, and unlock new courses and items as you keep playing (and winning) in the challenge mode. 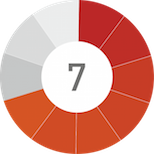 The main objective is to top the leaderboards of a game by scoring the most points. As simple as that sounds, it’s not easy. If you score a lot of Birdies, then your chances of going to the top are pretty guaranteed, and you don’t even have to play extremely competitively till 18 holes. Sometimes the matches get really challenging, as once you completely have a disastrous hole, the drop in the leaderboards can be pretty drastic. So your best option is to at least score a lot of Pars to maintain your position, and of course, the Birdies to dominate. Of course, you start at beginner levels early on in the challenge mode, which makes it easier to learn the game, and grasp the game mechanics quickly. Of course, if you are a seasoned player, you don’t have to do all that and can clear these easy beginner levels fast. You earn stars as you keep on clearing these levels, which allows you to play against an AI character, and if you manage to beat him, you will unlock more stuff. The points system is the general hook here, as it encourages you to keep playing and unlocking things to buy at the store. There is a training mode as well, which is pretty straightforward. You can retry a specific hole as many times as you like and set your desired weather as well. This is the main challenge in the game – scoring that perfect Birdie and for that, you need to know how to adjust to the weather factors. 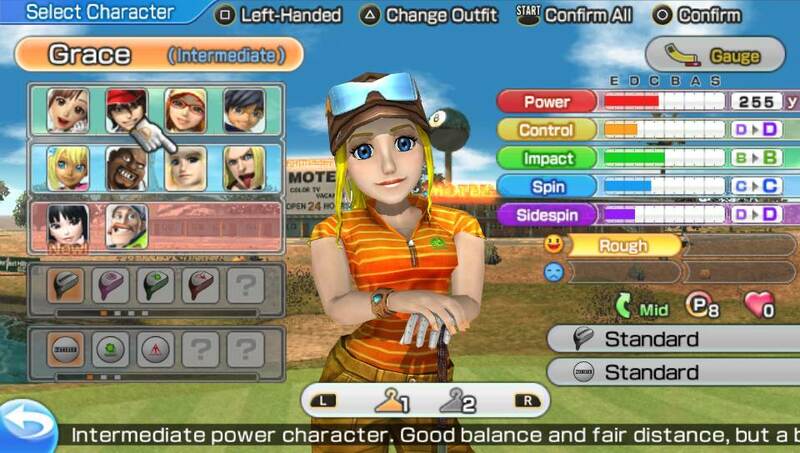 There is a Stroke mode as well, which allows you to pick any course, character and accessory. There is also a competitive mode which allows you to enter lobbies and use matchmaking. 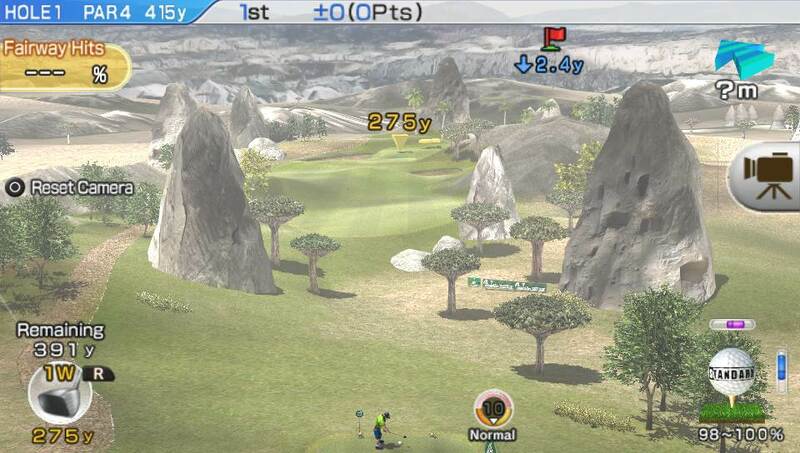 Daily International tournament allows you to play against people on random courses. There are a lot of gameplay mechanics here for you to master, and some of the Vita specific controls are implemented pretty well. It’s a shame that this doesn’t really offer you a lot, but will still manage to hold your attention. I would only recommend you to buy this game, if the other Vita launch titles such as this, this and this – are not your types, and if you obviously love this franchise a lot. In case you do buy it, Yamato and Yuna will not let you down! Lot of fancy unlockables and customization. Addictive gameplay. Decent amount of content for a portable game. Multiplayer modes. This version doesn't really bring any thing new to the table. Less scope for errors. I would only recommend you to buy this game, if the other Vita launch games such as these, these and these - are not your types, and if you obviously love this franchise a lot. In case you do buy it, Yamato and Yuna will not let you down!